"Allegiant" arriving: Young Adult appeal novels driven by agile heroines in dystopian future worlds have in recent years become one of Hollywood's better boxoffice bets. The four episodes in Lionsgate's "The Hunger Games" franchisegrossed a very tasty$1.5 billion domestically. The series, which ran from 2012 – 2015, was based on the best-selling trilogy of novels by Suzanne Collins. Following in "Hunger's" big footsteps was highly challenging, but the first two episodes in the next YA franchise, "The Divergent Series,"from Lionsgate, Summit Entertainment and Red Wagon Entertainment, grossed an okay $281.1 million from 2014 - 2015. The series, based on the best-selling trilogy of novels by Veronica Roth, still has two high profile concluding episodes to come. The first of those final episodes, the PG-13 rated sci-fi action adventure "The Divergent Series: Allegiant,"opens Friday (Mar. 18) at about 3,700 theatres and is a safe bet to dominate the weekend boxoffice. A good indication that Hollywood anticipates strong ticket sales is that "Allegiant"faces competition for moviegoers' time and money from only one other wide opening. "Allegiant",directed by Robert Schwentke ("The Divergent Series: Insurgent"), stars Shailene Woodley, Zoë Kravitz and Theo James. Its core audience isunder-25 women. In this first part of the series' conclusion, Tris (Woodley) and Four (James)escape beyond the fence surrounding Chicago and wind up inthe protective custody of a mysterious high tech agency called the Bureau of Genetic Welfare. The franchise's first episode, "Divergent," opened Mar. 21, 2014 to $54.6 million and did $150.9 million in domestic theatres. Episode two, "Insurgent," opened Mar. 20, 2015 to $52.3 million and grossed $130.2 million domestically. TriStar Pictures' PG rated drama "Miracles From Heaven," the only wide opening going head-to-head with"Allegiant,"will get a head start in about 3,000 theatres Wed., Mar. 16. Directed by Patricia Riggen ("The 33"), it stars Jennifer Garner, Brighton Sharbino and Martin Henderson. "Miracles" is based on the true story of the Beam family. When Christy (Garner) discovers her 10-year-old daughter Anna (Kylie Rogers) has a rare, incurable disease, she becomes a ferocious advocate for her daughter's healing while seeking a solution. After Anna suffers a freak accident, an extraordinary miracle unfolds that leaves her doctors mystified, her family restored and their community inspired. 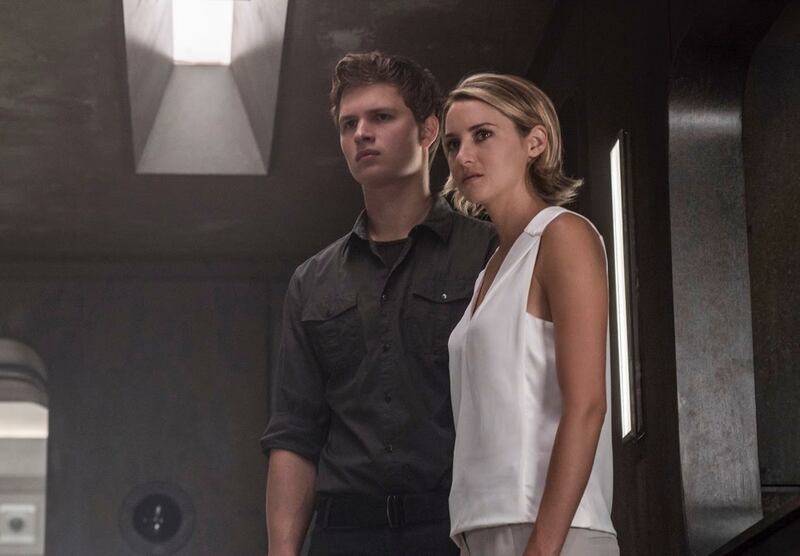 "Miracles" should play best to adult women, leaving younger women to "Allegiant." Focusing on the making of "Allegiant,"Douglas Wick("Insurgent," "Divergent"), who produced the film with Lucy Fisher ("Insurgent," "The Great Gatsby")and Pouya Shahbazian ("Insurgent," "Divergent"), said, "After two hit movies, we've seen a lot of Chicago and spent time with all the different factions, so we believed the filmmakers, the audience and the actors were all ready to go to a different world. "Cinematically and story-wise, it feels great to go over the wall for some answers: What’s outside the city? Why do the factions exist? Who's behind it all? What does being Divergent truly mean?" Shailene Woodleysays he was happyher character was pushing toward new horizons: "When we first met Tris in 'Divergent,' she empowered herself. In 'Insurgent,' she's guilt-ridden and winds up being betrayed by her brother Caleb. 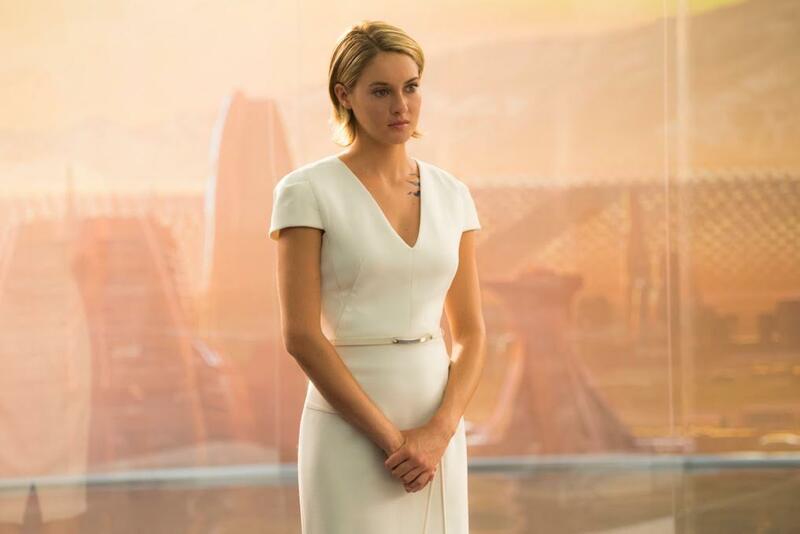 In 'Allegiant,' Tris goes outside of Chicago because she feels like it's part of her destiny." "Tris and Four have gone through so much together, fighting and losing people they care about. They feel like there must be something better out there, and they're both keen to discover something new. Also, they want answers to the riddle that's at the heart of the book series and the movies: What happened to the planet and why?" The answers to those questions are known by David, the visionary leader of the Bureau of Genetic Welfare, played by Jeff Daniels. "This genetics experiment that is Chicago has had some disastrous consequences," Daniels explains. "But this is David's life's work. Nothing and no one will get in the way of that." "It was great to act with Jeff Daniels," Woodley notes. "Besides being incredibly professional, Jeff put a lot of his soul and spirit into this character. Also, it was nice to have a male antagonist. In the past, we only had female antagonists. Playing David, Jeff brings a different kind of dynamic to the story. You don't quite know what his agenda is or what fuels him. At the end of this film, David leaves you wondering what he's going to do in the next one." In "Allegiant,"virtually everyone on the planet's DNA has been modified by generations of gene editing for the purpose of producing babies with predetermined traits. Davidplans to "rescue" the genetically damaged children from the toxic environment of the Fringe and put them in a safe environment in Chicago so that over time man's genetic material can heal itself. "That means altering a lot of people, whether they want to be altered or not," Daniels points out. "Under the faction system in Chicago, if they make people too brave, that leads to them being cruel; too peaceful,they become passive; too smart, they lose compassion. Tris is the one and only example of someone who actually evolved to the point of being genetically pure, so David wants her at his side." Initially, Tris is impressed by David's knowledge of her and what seem to be his pure motives. "Initially you think David is a humanitarian who helps save kids," observes executive producer Barry Waldman. "As you peel back the layers, you start to realize he has his own agenda." The series builds on the dystopian mythology that Veronica Roth introduced in her best-selling first novel "Divergent." Roth wrote that for 200 years, citizens living inside the walled city of Chicago had been divided into five factions -- the selfless Abnegation, the brave Dauntless, the intellectual Erudite, the truthful Candor and the peaceful Amity, while the unaffiliated Factionless live outside the system. Tris, who was raised Abnegation, switches her allegiance to Dauntless before learning she's really a Divergent, possessing abilities of multiple factions. She meets and falls in love with another secret Divergent, Four, and together they uncover an Erudite plot to take over the city. The second film, "Insurgent," followed Erudite tyrant Jeanine (Kate Winslet) as she hunted down rebel Divergents, subjecting them to a series of harrowing tests. Only Tris passes, being able to open a secret box containing an ancient message from the city's founders. Meanwhile, Four's power-hungry mother, Evelyn, leader of the Factionless, kills Jeanine, plunging the city into turmoil. "Allegiant" begins amid the city's ruins as Evelyn caters to a bloodthirsty mob by sanctioning the execution of Jeanine-loyalist Max. Repelled by his mother's iron-fisted rule, Four agrees to join Tris on their first foray outside the confines of Chicago. As the final installment in the book series, "Allegiant" set a HarperCollins pre-order sales records record prior to publication in 2013, selling 455,000 copies on its first day. Collectively, the trilogy has sold over 37 million copies, spending many months atop the New York Times, Apple's iBooks and Amazon best-seller lists. The filmmakers decided to divide Roth's 544-page final installment of the trilogy into two separate films. "The sheer expansiveness of the storytelling in Veronica's book lends itself to being broken into two different movies," explains Bill Collage ("Exodus: Gods and Kings"), who wrote "Allegiant's" screenplay with Noah Oppenheim ("The Maze Runner") and Adam Cooper (who also partnered with Collage on "Exodus: Gods and Kings"). "When she wrote 'Allegiant,' Veronica Roth had her brain in high gear." "Veronica packs so much plot and so many characters into each of her books we've always felt like we never got to service them all," says producer Lucy Fisher. "We've apologized to the actors that their characters can't get to do everything they do in the books, because we couldn't make a five-hour movie. Byending the series with two movies, we now have the time to give a satisfying resolution to all the characters everyone loves." Bottom line:"Divergent" fans still have one final chapter of the franchise to look forward to -- "Ascendant," which hitsmultiplexesJune 9, 2017. That should be a busy boxoffice weekend since it will also see the arrival of Universal's "The Mummy" franchise reboot, directed by Alex Kurtzman ("People Like Us") and starring Tom Cruise. "Mummy" should play best to men while "Ascendant" should do best with women under 25.